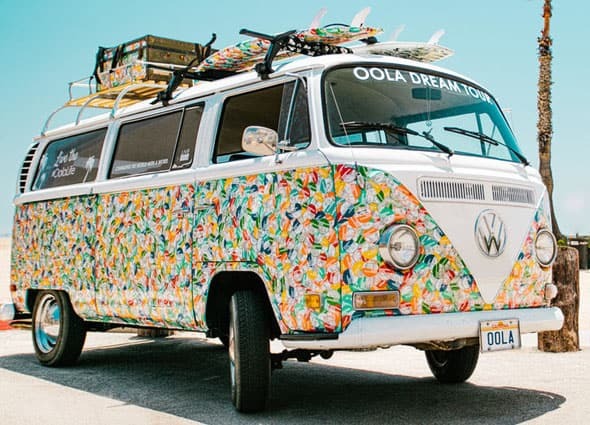 The Oola VW bus carries written dreams nationwide. PROCTOR—Last week the Oola Dream Tour 1970 VW surf bus visited Proctor, Vt., to collect dreams. Dave Bram and Troy Amdahl authored the best-selling book “Oola: Find Balance in an Unbalanced World,” a self-help book that doesn’t feel like a self-help book, according to the authors. “Oola” the book “reads more like the script of a classic buddy road trip movie than a self-help book,” they stated. What is Oola? Oola, according to Braun and Amdahl, is “that perfect state of awesomeness. When you’re in the zone. When your life is balanced and growing in seven key areas,” which they outline in the chapters.